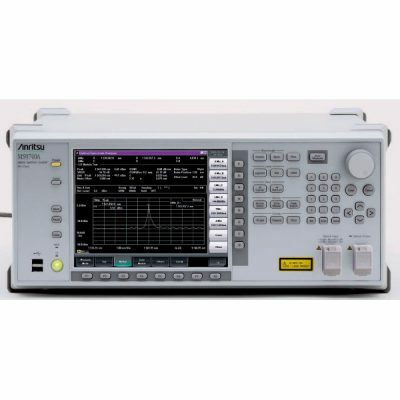 Anritsu’s Optical Spectrum Analyzers offer superior accuracy and reliability for evaluating a wide range of optical systems. Reduce the manufacturing costs is a key issue for vendors of active optical devices. Measuring instruments for device evaluation are expected to increase productivity by shortening inspection times. The Optical Spectrum Analyzer MS9740A reduces the total time from waveform sweeping to data transfer to external control equipment and supports simple analysis procedures, offering excellent cost performance and better productivity.